It's a Kate Landers Events, LLC, Giveaway! It's a BIG one, too, worth $125.00-$250 (UPDATE: We are EXTREMELY CLOSE to Couture Package--keep them coming!!!!)!!! And the prize--custom tailored for you! For the first time ever, I am giving away a Classic Custom Party Theme Package! You get to select the theme (or we can help you with that), and we provide you with the rest of the party planning details! And no, we do not just suggest products in our shoppe--we suggest products from all over to give you the most stylish party! We want to help you have a truly charming, personalized, stylish party with less stess and more time to enjoy!!! We need at least 50 official entries (from 50 different people) in order for the giveaway to go into effect...so enter as many ways as you can, and encourage your friends and family to enter as well!!! If we get 250 official entries (from at least 100 different people--so your EXTRA ENTRIES COUNT HERE), we will UPGRADE THE GIVEAWAY TO OUR COUTURE CUSTOM THEME PARTY PACKAGE, retail value of $225 (going up to $250 in May!!)!!!!! This Classic Custom Party Theme Package is quite the giveaway item, and I am thrilled to offer you a chance to win! We pride ourselves in our work, and devote as much time (typically 10 hours on each custom package! ), energy and effort as possible to provide you with truly unique party theme packages that will give you the creative inspiration for a birthday celebration that is designed by a professional party planner who specializes in events for children. If you already are a follower, leave a comment on this giveaway post letting us know you are already following, and tell us what party theme you would select if you won the giveaway. 1) For One Extra Entry: Become a Facebook Fan of Kate Landers Events, LLC, and leave a comment on our facebook page on the post about this giveaway, letting us know you are a new fan, and tell us what theme you would choose. If you are already a Facebook Fan, leave us a comment on our facebook page on the post about this giveaway letting us know you are already a fan, and what theme you would choose. 2) For One Extra Entry: Follow KateLandersLLC on Twitter (let us know your twitter ID!)!!! Send us a Tweet letting us know you are now following and entering the giveaway. If you are already following us on Twitter, send us a tweet letting us know you are already following and are entering the giveaway. 3) For One Extra Entry: Tweet or Retweet about our giveaway on Twitter, and send us a link to your tweet! 4) For Two Extra Entries: Put up a Facebook Message about our giveaway, and provide us with a link to your post! 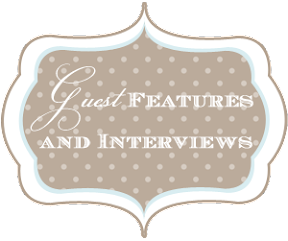 5) For THREE Extra Entries: Add Kate Landers Events, LLC, Blog to the sites/blogs you are following on your blog! Leave us a comment on this blog post with a link to your blog so we can check it out! 6) For THREE Extra Entries: Do a Blog Post about our giveaway on your blog, and leave a comment on this blog post with a link to your blog post about it! If we receive 50 official entries (from 50 different people) A WINNER will be selected at random on Saturday evening, May 1st (A Perfect Way To Celebrate May Day! ), and will be posted late that night/early Sunday Morning! The winner must e-mail us within 48 hours at info@katelandersevents.com to accept their prize package. Thank you, and good luck!!!! What an AMAZING giveaway! I am a fan, and my son turns 2 in September. I was thinking the nautical/sailboat theme is really cute. Plus you could do a lot with just the colors and a great monogram. I just became a follower :) I would definitely use this package for my son's 2nd birthday. I haven't decided on the them yet. I'm trying to choose between vintage circus, owls or bugs. WOW Kate, not only are you super talented, but so kind and generous as well. This sounds like a fabulous opportunity for the perfect party--how fun! Wow, how awesome! I host a party at my house each month with a different theme. June is Latin Salsa. I'm stumped on my decor and could use help! Oooooo... very exciting. I am a very new but now devout follower! Let's see 7 year-old boy birthday -- or 3 year old girl... gotta go girlie. How about fairy/woodland creatures or mermaids -- but don't hold me to it! Best! H Thanks for the quick e-mail response! I'm already a follower! 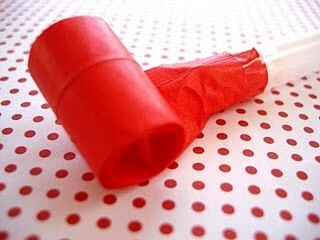 I would like a Twilight Saga themed party or a red/white/black party. I'm a follower!! 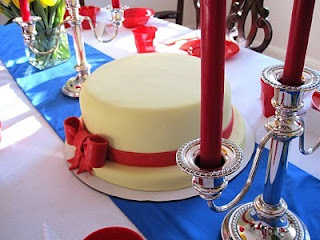 I would love a twilight saga birthday themed party. I am a new, but ardent fan. My twin boys turn 1 in July and I'd like either a Tom Sawyer/Huck Finn theme or a circus theme. I have followed your blog for a while but I am now an official follower. My little boy's 3rd birthday is coming up and he loves trains so I'd probably go with that one. LOVE your stuff by the way... all of it! I am already a follower and am so inspired and awestruck by your events! If I were to win, I do not know what theme I would choose, because I would be hosting a baby shower for (most likely) my sister and we do not know the gender of the babe. But I do love the pink & green party and the Madeline party! I posted about the giveaway+Kate Landers Events on Facebook at http://www.facebook.com/pages/Kate-Landers-Events-LLC/145628397661?ref=ts&v=wall#!/profile.php?id=299800471&v=wall. Kate Landers Events is listed in my "link love" list of the great sites I follow. You can check it out at http://thegirlnamedtennessee.blogspot.com/. I wrote a post about the giveaway at http://thegirlnamedtennessee.blogspot.com/2010/04/giveaway_20.html. I'm a follower, I think I would choose a Pirate theme or a vintage toy theme for my son who turns one in Oct. This would be amazing and would make for a memorable 1st birthday! I'm already a follower and would love a pink and green argyle theme. I'm already a follower! I love baby blue and red...for my little guy's 1st Birthday - red wagon theme! I would love help with a Tea Party birthday for my 4 year old who's birthday is May 8th. I've been a facebook follower and am now following your blog! I'm a fan of your creative beauty. 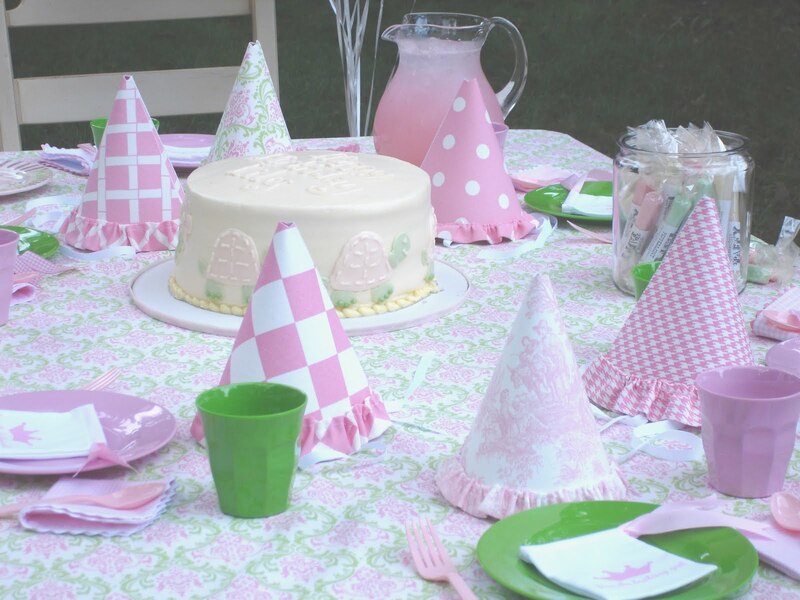 I would chose a pink, May-floral theme for my daughter's 5 year-old birthday party coming in May. and I'm linking a message on facebook, too. I'd love to win! Posted a comment on facebook and a post and link on my blog. Such a fabulous and generous giveaway! You know I would chose a pink & green theme - for sure! Okay - I am a follower, FB fan, Twitter follower, posting on my blog (be back with the link), posting on FB and Twitter .. I think thats everything?! I'm a new follower! I would love an airline theme for my triplets' birthday party! I'm a new Facebook follower and left a comment. What an amazing giveaway!!!!! I'll definitely be spreading the word. I'm already a follower of your fabulous blog. 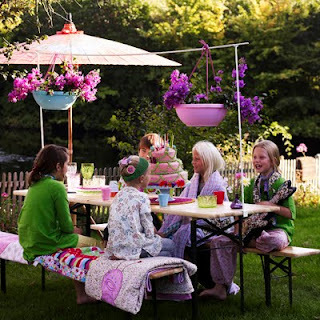 My daughter's fifteenth birthday is coming up this summer and a pink and green birthday party would be perfect. Hi, my name is Eloïse i live in South France, and i'm new follower. I just love what you do, and i wish there'd be some birthday planner like you in France. I'm the mummy of two sweet little girls Kelis and Naïa. I'd like a cowgirl party theme for the little one, and for my eldest who'll turn 4 in november, i'm dreaming of a circus party, because she started circus this year and she loves it. Otherwise, I'm SO in love with the Madeline theme, my two grils are so into it! 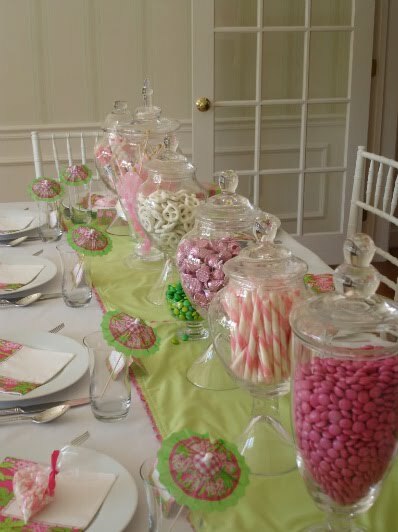 Im a new Follower who is looking for ideas for my daughters up coming birthday in August we are doing a Candy theme party --So i would love to win!!!.. I just became a follower. I would love a BBQ theme for a party this summer. We love getting everyone together! New follower! I would love to do a Bob the Builder party for my son's b-day coming up in July. The Tea party is amazing! Perfect for my little girl. What you are doing is amazing ! I'm following you on facebook and twitter! My son is turning 2 in july and my daughter will be 4 in october. I left the 13th comment under anonymous but didn't leave my name or email. I hope I win! I am a new follower and I would so love to win! I love a good party! Maybe for my birthday in May or could plan one for my son's Family Day in June (when we celebrate his adoption finalization). I am a new follower and if I won I would love to see what kind of owl theme for a 3 year old. Or if you do adult parties then I would love to see what you come up iwth for a 1920's speakeasy/prohabition casino party! Hi, already a follower - I live on a lake in NC and would love to do a birthday party for my soon to be 9 year old son and incorporate camping in tents and a camp fire in the back yard. I added you to my blogroll! I am not sure you wren't there before! I am so excited to find your blog! My son is turning 13 in June and I would love to make it special. Following you now! I am already a follower! I would love a pink themed party! Now following you on Facebook! I'm a new follower but I love your blog! I don't have any kids, but if I won I'd love to host a baby shower for my two cousins (they're sisters) who are both due later this year. Not quite sure what theme yet, but I'm sure you guys could help with that! I'm a new follower, and am wanting to do a "Ball" (basketball, baseball, soccer) theme for my son's 3rd birthday. This would be so awesome!! Just became a follower - suggested from Simply Creative Insanity. Would love to win! I am having a 1st Birthday Party in August for my twins. YAY! I am so excited about this giveaway!! I am now a follower! My son's second birthday is going to be a Chutes and Ladders theme and I am in need of help!! Updated my status about the giveaway on Facebook AND became a facebook fan. I am working on my son's 2nd birthday with a Chutes and Ladders theme. I'm a follower! And I love the pink/green theme... wow!! I am a new follower. I would love a BBQ theme for the summer. I ahve added you to both my blogs. I also became a fan on facebook, posted about it on my facebook page, and sent suggestions to my friends on facebook. I am now going to post something on both my blogs. What a wonderful blog you have and what a generous gift! Your creative spirit is incredible!! I really enjoy the ideas you share and I'm excited about the chance to win this giveway for sure! A party theme? How about the dog days of summer? Your blog is happily located in my Inspiration for Happy section listing blogs I frequent! I just realized that I had you under my favorites link but was not following so now I am a NEW follower. I love your insights you have. What an amazing giveway! I love your candy party. It would be perfect for our playgroups end of the year party as some of us are military and moving. Thanks for the chance. I'm also a FB fan! Facebook fan as well! Again--I would love some original and fun ideas for my son's carnival theme! Blog follower- a carnival theme for my son's 4th birthday this summer! I added you to my blogs I follow. I blogged about it too! This is such give away. I just became a follower. Your blog is so great. I really like the pink/green theme. I would really like to win !! I am an old follower - and I am looking to do a "Three Little Cajun Pigs" party for my daughters 3rd birthday. I am now a follower and I would love to plan a cupcake crazy tutu party for my little cupcake princess. I am a new follower!! I would love an animal or circus theme! What a great giveaway! Im a new follower but am already in love with your stuff. I have a plethora of things to plan and definetly need help. My daughters 1st bday is in july and we are doing a strawberry theme. My older daughter will be 3 but I dont know what Im doing yet. And my sister will be graduating in May from college and wants me to plan a party with a spanish/flamenco theme and all I know is that I want to surprise her with a spanish guitarist. Just became a newbie to following your blog! What an awesome giveaway-I'm interested in a classic car theme (cars from 60s) something far and away from Disney Cars or race cars. Colors red and gray. It's for my son's 2nd birthday party that is soon approaching so this win would be so timely and such a HUGE blessing, we can only pray! I am a follower! I would choose a pirate theme for my sons 5th birthday! I am a new follower and would love to throw my daughter a "queen of the jungle" party! I'm a new fan and would choose cats/dogs for my three-yr-old girl and 1-yr-old boy who have birthdays just one week apart. I'm a new follower!! would love..."where the wild things are" theme!! 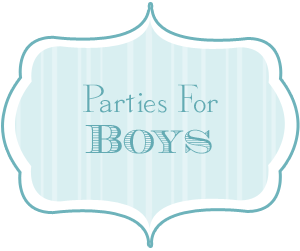 I'd love a boy and girl party theme for my two whose birthdays are only a couple weeks apart. Maybe sugar & spice and snips, snails and puppy dog tails. Or bull dogs and poodles? See, clearly I need help. I'm a new follower. My son's 7th birthday is coming up and I would need help with that. :) Thanks. I am a follower and want to plan a vintage surf party for my son's 1st bday in July. I just became a fan on FB! 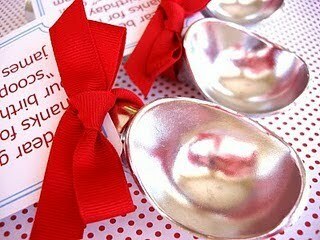 I am a new follower..I am planning a ladybug theme 1st party in June, I love the red and white polka dot theme..I could use your help with that.. : ) Thanks.. I love your blog! I am new follower-I am looking for more of a tween theme. I'm a new follower and a fan! I've come to this site for inspiration before. Let's see...if I were to choose a party: it would be an ART party (colors, markers, chalk, watercolors) for my daughters 3rd birthday. Or....possibly a 'Walk Down Memory Lane' or 'Headline News' 60th Birthday Party for my Dad. I just became a follower. I would love a vintage circus theme for my twin sons' 3rd birthday in September. I am now a follower!!! will for sure use your services for my little girls 3rd b-day in August with the pink and green theme- wish I knew of this last week before I had my little girls 4th b-day! VERY CUTE! 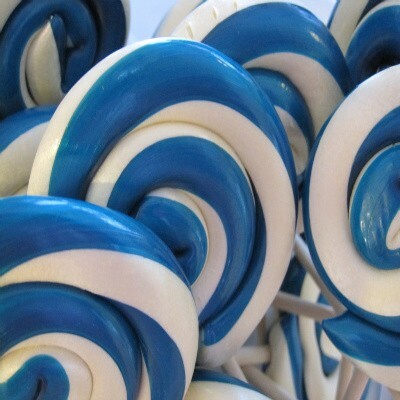 I just became a follower and I would choose a lollipop or ice cream party theme. I'm a new blog follower. Thanks! I am a new follower- beautiful ideas! I am torn between the ballet/nutcracker & the ice cream social- maybe a tad of both for my daughter's party- on the heels of her recital as princess Belle and I wanted to do 'sunday splits'. i'm a new follower. what an amazing giveaway. Hi there. I am a new follower and I would love a teenage girl graduation theme. Thank you. This is fantastic! My 40th is in June and a party is being held waterside in Annapolis...I would love your goodies for my shindig! I'm already a follower, but would love the chance to enter.....themes I am thinking of for my kids birthday parties are firetruck, surf, pool, ponies, fairies & candy shoppe! thanks! I am a new follower! Love your site! I'm not sure what theme I would go with just yet. I might just want to use a couple of colors as my theme. I'm a new follower of your blog! Would love something birdy themed for my little girls 4th birthday! what a wonderful giveaway!! 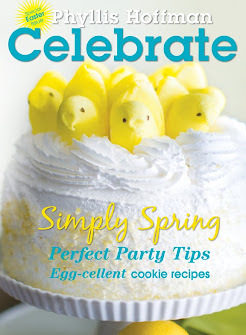 What an amazing giveaway---if I were to win I would choose something birdy themed for my little girls 4th birthday! New follower to your blog! Love it! I am also a new follower on Facebook! I am a new follower and I would pick a girly baseball theme! Just signed to follow you on facebook. Thanks to Tomkat for sending me to you. Wow, this would be me dream job. I bet you love your job. I've started brainstorming ideas for my son's 10th birthday and have come up with nothing.. So I open to ideas. 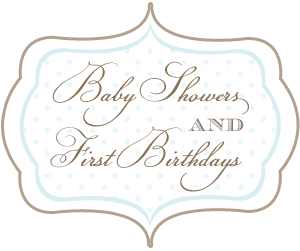 I'm a new follower and would leave it up to you to plan a wonderful 1st birthday party for my DS2 or a welcome party for DC3 who will arrive less than a 3 weeks after DS2's birthday. Who knows? Maybe a joint birthday/welcome home celebration since technically we'll be celebrating 2 birthdays! 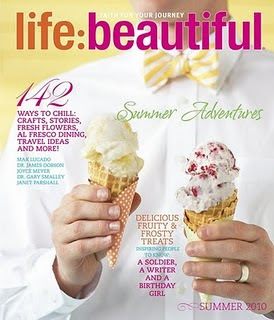 I am a new follower to your blog and I love the ice cream party idea. I posted your blog on my own. I just created my blog a couple of days ago so it is a work in progress. I am a new follower! My daughter would love a Hello Kitty or a princess party theme! I am a follower. I would love to do a mermaid or fairy party for my daughter in July. what a great give away! the party theme for my little girl's is vintage circus. i will be using the TomKat Studio's Vintage Circus invitations:) I would love to win!!! I am a follower - love this idea! I'm a new follower. I'm thinking about a big combined magic party for my 3 little ones. I love for their parties to be different and fun! I am a new follower & am totally "WOW-ED" by your beautiful ideas and site. My daughter is turning 13 in August & i was thinking a Classic Hollywood/Oscar Night Party or a Alice in Wonderland Unbirthday! I am a new blog follower and would love a stylish butterfly party. Oh I would love to win this package. I will be throwing a party for my daughter who will be 2 and my niece who will be 7. I'm having trouble of coming up with a them that will fit them both! I am already a follower and I would love the Icecream party Theme! How absolutely delicious! I came upon your blog and LOVE IT. Lucky me, just in time for your contest. I just became a follower, and am currently planning 2 parties for my children. My girl is turning 6 and we are planning a mermaid (not little mermaid)pool party.I am thinking of using hot pink with teal and green. Then, my boy is turning 8 and loves Star Wars. I am really stumped on his, because I'm not one to buy character stuff for parties, so any help would be GREATLY appreciated! Both parties are in May. Thanks so much, and keep the gorgeous inspiration coming! I'm a follower on this blog! Forgot to add the link...sorry. Here's the link to the post. Hi, I'm a new follower. I am doing a vintage robot theme baby shower in July and would love some more ideas. What a great Giveaway!! I am so excited. My daughter turns 4 in September and this would be awesome! I am a follower...not new though. I'm a new follower and your ideas are FAB! Just became a fan on FB....looking for ideas for a baby boys 1st birthday..."one"der the sea or ocean "one"derland. Hi! I'm a new follower. :) Your party themes are so fun and beautiful, what a great talent you have! I'm going to have a "pajama party" for my 3 1/2 and 5 year olds this summer. 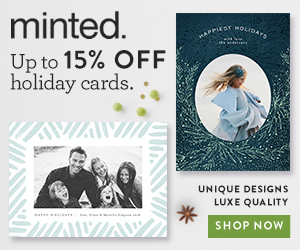 I would love your pajama party or sundae party pack. Thanks, this is an amazing giveaway! I'm a new follower and your site rocks! I'm thinking a mustache poker party or a girls night party! Winning this would give me a great reason to throw a party! I am a new follower but I have been reading your blog for a while. I love the great ideas and designs!! I am an event planner and you are my first stop for inspiration, but I would love help with my sons b-day party or a summer-type theme party. Maybe Dr. Seuss, superhero or Mr. Man themed party. I am officially a Facebook Fan and a Blog follower. If I won, I would host an "Adventure Party" Similar to Peter Pan with roles suitable for both boys and girls. My son will be 6 next month. Being the 2nd of 3 children in the family, mom has already done most of the traditional characters. It would be awesome to have a treasure hunt and other themed activities. I am a new follower! I would love some help with a graduation party. Both of my sons will be graduating next year (2011) one from college the other from High School and I want to throw a great party! THANK GOODNESS i caught this on time! I stumbled upon your blog while i was searching for a nautical themed party for my son's birthday which is under A YEAR away! Am totally inLOVE w/your sailboat package. I am also planning a Princess Tea Party for my daughter so I am EAGER and super ready for some luck! Thank You! Shachi here from Two Penny Parties! I'm already happily following your blog through Google Friends (I'm following under Two Penny Parties), and I just started following you/became a fan on Twitter and Facebook. 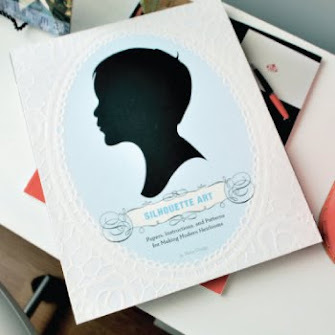 I find the Storybook party completely captivating and would love to win it. You've got such a wonderful eye for perfect details! I am a new follower. My son turns 6 this June and I am looking for a carnival theme. I am a new follower. Would love a carnival theme for my sons 6th birthday in June. i am such a fan of kle! i just became a follower and am already a facebook fan. i love your classic design! i would choose the pink and green party. i'm a prep at heart! I'm already a fan and would love the nautical sailboat theme for a boy. I'm a new follower. I would to have help with my daughter's 1st birthday party in October and I was thinking preppy pumpkin! What an amazing giveaway! My twin girls turn 3 in November and how great this would be! 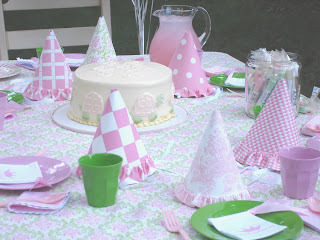 A pink princess party would be super fun or maybe fairy/butterfly theme. Thanks Kate for this great giveaway! Follow via GFC - Chip, and my daughter's birthday is this summer. We were thinking of having a tea party or fairy party. This would be so wonderful to help make it a special day. Would love a Dr Seuss party for my son's 1st birthday! 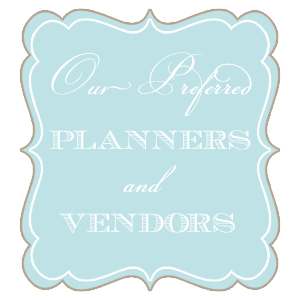 Subscribe Here To Our Online Newsletter For Special Features, Exclusive Offers & Insider Info On Kate Landers Events, LLC!